FFWPU USA: The Leda Project, which was established by True Father in the Pantanal to help end world hunger, received a great honor recently when Mr. Minoru Nakata, a pioneer of the project, received a Peace Award from True Mother. 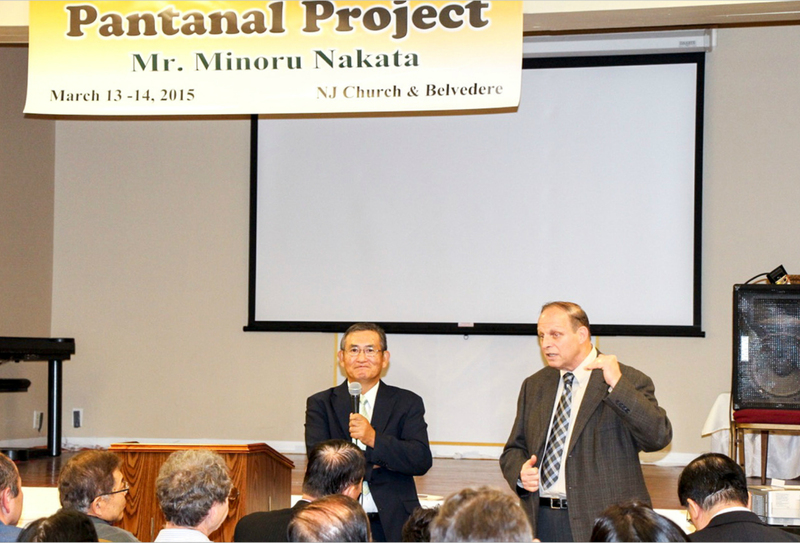 Upon Mr. Nakata’s return from Korea, he visited communities in New Jersey and New York to talk about the program. He was accompanied by Mr. James Nada, president of South and North America Sustainable Development for Peace, the organization that provides funding for the Leda Project. Mr. Nada spoke of True Father’s hope that the wealth of the United States could be used to support these kinds of projects, and he expressed his gratitude to the American Unificationists who recently donated a heavy-duty truck to the project. The Leda Project was established by True Father in 1999 in the wetlands of the Pantanal, a region shared by the nations of Paraguay and Brazil. True Father envisioned that it would become a place that would help solve the worldwide problem of hunger. A short documentary that was shown at the talks revealed the early investment into the project and all of the incredible developments since it began. Through the efforts of Japanese national messiahs, barren brushland was replaced by lecture and residence halls, orchards, and water treatment facilities. The video showed footage of the president of Paraguay visiting the site. The president rolled up his trousers to wade into the river and participate in the seeding of the waters with thousands of baby fish raised in the Leda fish farm. Mr. John Gehring, director of Religious Youth Service, a project of the Universal Peace Federation that has worked closely with the Leda Project over the years, then introduced Mr. Nakata.